YOU WANT TO BE AS COOL as a cucumber when working with your show cattle, and an important part is heading off heat stress in your animals. In Florida, the conditions are just about always ripe for creating heat stress in your show cattle. Avoiding heat stress is paramount to the health of your cattle, assures Bridget Stice, a UF/ IFAS Livestock Extension Agent for Polk County. In the short-term, “heat stress may cause animals to go off feed,” she shares. In severe cases, it can be dire. “Ultimately heat stress can potentially lead to death,” Stice warns. While animals that are confined, heavy, dark in color or experiencing high activity — such as during handling — are much more likely to experience heat stress, any animal can suffer the negative effects of high heat and humidity. “The important thing is to be aware of the signs of heat stress in cattle. These include slobbering, high respiratory rates (panting), open mouth breathing, lack of coordination, and trembling,” Stice points out. The conditions that lead to heat stress can be created in any number of settings, so it’s important to know how to keep cattle cool no matter the situation. 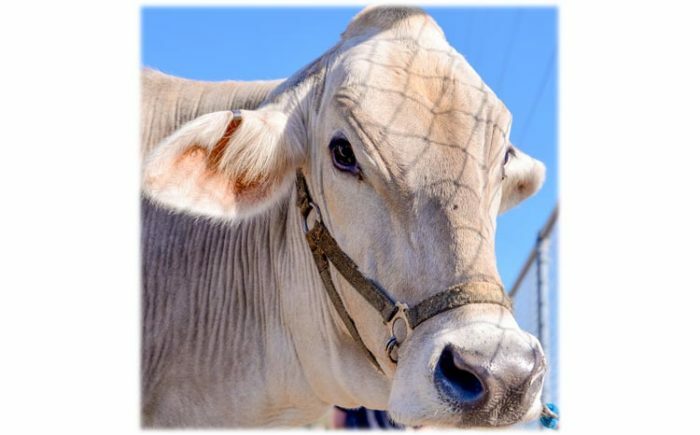 “Heat stress can be reduced by offering shade, air flow (fans), water, and avoiding overworking the cattle and transporting the cattle during heat stress,” Stice observes.